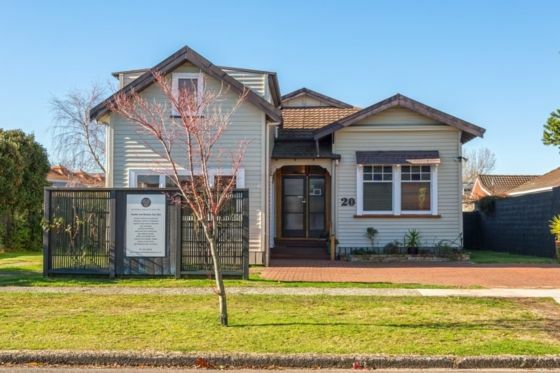 The house is a 2 minute walk from Rotorua’s main mall, 2 major supermarkets and a 10 minute walk from all the diverse restaurants and bars Rotorua has to offer. You're only a 5 minute drive to the renowned Redwoods forest where you’ll find world class biking and walking trails that will keep both adults and kids alike entertained for hours. For the less adventurous there are a number of local attractions close by from museums to geysers to Maori cultural centres that allow you to experience the world famous Maori culture, first hand! Ample parking both on and off street including plenty of room for a boat should you want to take advantage of Rotorua’s many stunning lakes. At the end of a long day of activities, relax and unwind in your landscaped enclosed garden complete with thermal bath. It also has a large barbecue and seating area should you choose to entertain at home. Apartment to suit 3 people attached to house, also available to rent. Attached apartment also available for rental. Shared laundry and thermal bath with separate access. Tidy, warm and great location. The place was lovely and warm, and felt really homely, I think we should have known the building was partially rented out to permanent residents, while they had À seperate entrance, the parking became a challenge. Great place if there is a large group of you. Great place if there is a large group of you. Thermally heated with a large outside bath which the kids loved being able to soak in. Great Wifi which the kids also loved!.. Has a few maintenance issues that needs addressing but we didn't mind as we felt very at ease in the place which compensated. It is in a fantastic location, super handy to the shops. Our family loved staying there. Not super flash and the price reflects that. In my opinion it is great value for money. Great location and house. It was a bit noisy on the weekend with a hotel on one side but its what you expect with the location and weekend partying. Would stay again.